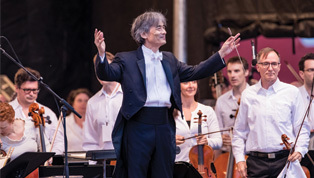 Montreal, May 23, 2018 ▪ The Orchestre symphonique de Montréal, Musical Director Kent Nagano, and Emmanuel Bilodeau, Ambassador for the OSM’s 2018 summer season, today unveil the orchestra’s summer concert programming. The public is also invited to experience the magic of outdoor concerts with OSM IN THE PARKS and to come out and enjoy this 7th OSM Classical Spree, which features a series of AFFORDABLE INDOOR CONCERTS and an array of FREE CONCERTS AND ACTIVITIES. It is an opportunity for festival-goers to completely immerse themselves in classical music! People of all ages, whether they are new to classical music or seasoned enthusiasts, are sure to delight in this year’s edition, which kicks off on August 29 at the Olympic Park, with a free-of-charge GRAND OPENING PERFORMANCE OF SCHEHERAZADE. For the seventh year running, the OSM CLASSICAL SPREE will contribute to the effervescence and excitement of summer in Montreal! More than 500 artists from over ten different nations will converge on the city to perform some thirty indoor concerts, starting at a mere $10 per ticket. Under 60 minutes, making it easy for festival-goers to attend more than one concert per day. They can also take part in activities and enjoy free performances, a much-expanded feature of the event’s programming this year. Unique in North America, the Classical Spree is proud to showcase classical music in one of Montreal’s many vibrant festivals. Anyone who has ever attended the OSM CLASSICAL SPREE can confirm its electrifying atmosphere! LARGE-SCALE FREE CONCERT, WEDNESDAY, AUGUST 29, 8 P.M.
To kick off the festivities, Maestro Kent Nagano takes audiences on a journey to the heart of Middle-Eastern legends. From Sinbad, the intrepid sailor, to Aladdin’s magic lamp, listeners will be transported by these stirring and imaginative tales. They are beckoned to the enchanting world of One Thousand and One Nights, with a performance of RimskiKorsakov’s symphonic suite Scheherazade. Emmanuel Bilodeau will host the evening and the OSM will be joined by Cirque Éloize for an evening of unforgettable entertainment! 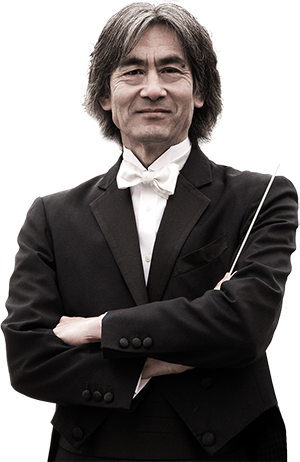 Maestro Kent Nagano takes on a marathon of eleven concerts for this edition of the OSM Classical Spree! In the concert KENT NAGANO CONDUCTS THE VIENNESE CLASSICS, which begins with the brilliant overture to The Marriage of Figaro, celebrated English pianist Paul Lewis will perform Mozart’s Piano Concerto no. 27, and the audience will also be treated to Strauss’ famous Emperor Waltz performed by the Classical Spree Ensemble. This ensemble made up of OSM musicians as well as several prizewinners of the OSM Competition, reflects an important element of the spirit of this festival: to foster unique collaborations between established and emerging musicians. Another highly anticipated guest, Alexei Volodin (photo), one of the most stunning pianists of his generation, will perform TCHAIKOVSKY’S CELEBRATED PIANO CONCERTO. The INFINITELY BACH concert is an opportunity to enjoy the Concerto for Three Harpsichords—a rare treat—as well as the Fourth Brandenburg Concerto, and to hear accomplished violinist Mayumi Seiler. The vibrant Moldavian violinist Patricia Kopatchinskaja will perform Hungarian composer Béla Bartók’s Violin Concerto no. 1 in the concert HUNGARIAN DANCE AND FOLKLORE. Kent Nagano and the OSM Chorus will give two performances of KENT NAGANO CONDUCTS THE CHORUSES OF WAGNER AND VERDI featuring choral and orchestral works by the two leading figures of German and Italian Romanticism. Finally, by popular demand, Maestro Nagano will join forces again with the acclaimed Quebec electric guitar virtuoso in STEVE HILL’S ELECTRIFYING RETURN TO THE OSM in a performance of Anthony John Lennon’s masterful Electric Candlelight Concerto! The Festival’s chamber music series is an opportunity to discover the tremendous talent of Classical Spree musicians in a more intimate setting. Many encounters between OSM musicians and international instrumentalists and soloists are scheduled. A Grammy Award-winning violinist in the category Best Chamber Music Performance, Patricia Kopatchinskaja will perform the poetic PIERROT LUNAIRE for voice and small ensemble, a work that had a profound influence on the history of music. For an exploration of world music, festival-goers are invited to experience the sounds and the stunning virtuosity of Alexandru Sura on the cimbalom—the “gypsy piano”—typical of Eastern European music, in THE KING OF THE CIMBALOM. Another discovery for music-lovers is the concert CLASSICAL MUSIC OF THE MIDDLE EAST given by three internationally acclaimed masters of their instruments, Nazih Borish on the oud, Didem Basar on the kanun, and Joseph Khoury on the darbuka. The distinguished American Fine Arts Quartet also visits Montreal for two intimate concerts not to be missed: DEBUSSY AND GOUNOD QUARTETS and HAYDN’S “THE LARK.” Also, to celebrate the 350th anniversary of Jean de La Fontaine’s classic Fables, LA FONTAINE’S FABLES features works by Denis Gougeon and JeanPhilippe Rameau to accompany Catherine Perrin (narration and harpsichord), as she reads selected excerpts by the French poet. Not to be missed, internationally renowned London pianist Paul Lewis offers a sparkling performance of Haydn’s Sonata no. 59 and of Brahms’ Klavierstücke, op. 119, a cycle of works that are delicate, fierce, and grandiose all at once. Russian pianist Alexei Volodin, who made his memorable debut with the OSM last year, will perform an arrangement of Tchaikovsky’s famous suite in ALEXEI VOLODIN PLAYS SLEEPING BEAUTY. 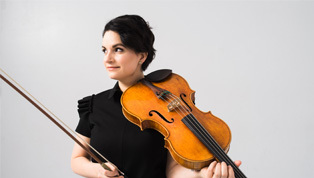 Quebec violist Marina Thibeault (photo), one of the 2016–2017 Révélations Radio-Canada, performs two magnificent works from the repertoire for solo viola by Schumann and Rebecca Clarke. In THE SOLO TUBA TAKES ON DON QUIXOTE, OSM tuba player Austin Howle creates a rare opportunity to hear this instrument in recital. Finally, in THE ROMANTIC FLUTE, winner of the 2017 OSM Manulife Competition Benjamin Morency performs Schubert’s Introduction and Variations on “Trockne Blumen” for flute and piano. Among the numerous free activities for children featured in the OSM CLASSICAL SPREE, this year parents can take the opportunity to introduce their children to the concert hall experience. Indoor concerts lasting 45 minutes, at a cost of only $10 for 17 years and under —these are winning conditions for an awesome, educational, and fun time! Several spaces at Place des Arts and Complexe Desjardins will be transformed into event venues for all ages. The programming of free activities, workshops, and concerts is a greatly developed component of the Classical Spree this year! Musical film at the Théâtre Maisonneuve, Argentinian tango with École Las Piernas and the ParaTango Quartet, musical yoga, engaging talks and interactive demonstrations for discovering all that music has to offer, concerts featuring young musicians from Gregory Charles’s popular TV series Virtuose! and winners of the OSM Manulife Competition, performances by Architek Percussion, Ensemble Saxologie, Blù Bambù, Katcor Quartet, not to mention Les Petits chanteurs du Mont-Royal as well as several youth orchestras, take turns in delighting audiences with the breadth of their talent. For the OSM CLASSICAL SPREE, in collaboration with the Fédération des harmonies et des orchestres symphoniques du Québec and ICI MUSIQUE, the OSM has brought together amateur musicians from the four corners of the province of Quebec to form the CLASSICAL SPREE SYMPHONY. This one-of-a-kind ensemble will perform an exhilarating concert at Complexe Desjardins, conducted by OSM Assistant Conductor Adam Johnson and OSM Musical Director Kent Nagano. Musicians who wish to participate must record an audition, and fill out and submit the application form by May 30, 2018, HERE. Little ones—and their parents!—will be pleased to learn that a drop-in musical daycare, developed in collaboration with Pop-Up Camp, offers children aged 3 to 10 a space to learn more about music. Also, an interactive zoo as well as several workshops and recitals await these little ones! The Children’s Area, created in collaboration with the Bibliothèque et Archives nationales du Québec, will be offered again this year. This area specially designed for children features books, music, crafts, and story time… There is much to delight festival attendees of all ages at this 7TH OSM CLASSICAL SPREE ! Summer is never complete without the OSM’s exciting outdoor concerts! This coming July 4 and 10 as well as September 2, music- lovers can meet up with Emmanuel Bilodeau by attending the THREE BIG FREE CONCERTS that make up the OSM IN THE PARKS series. 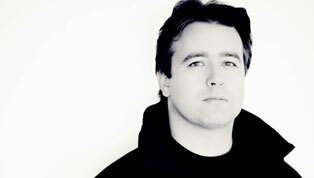 On July 4 at Sorbonne Park in BROSSARD and on July 10 at Jarry Park in MONTREAL’S VILLERAY BOROUGH, the OSM’s conductor-in-residence Adam Johnson will perform works that are bound to be a treat for audiences of all ages, such as Tchaikovsky’s Romeo and Juliet (overture), Bizet’s Carmen (suite), and Rossini’s Guillaume Tell (William Tell) (overture). On September 2, at La fête de la musique in TREMBLANT, the OSM, under the direction of Kent Nagano, will perform the work chosen to launch the OSM CLASSICAL SPREE: Rimski-Korsakov’s grand symphonic suite Scheherazade. These three outdoor concerts, hosted by the energetic and talented OSM 2018 summer season Ambassador Emmanuel Bilodeau, are an opportunity to sit back and enjoy the summer weather, open your ears and be transported by the very special charm of the outdoor live musical experience.